With this new library entirely dedicated to Ableton Live, Delectable Records aims to gather one incredible plethora of tools and effects ready to use instantly. 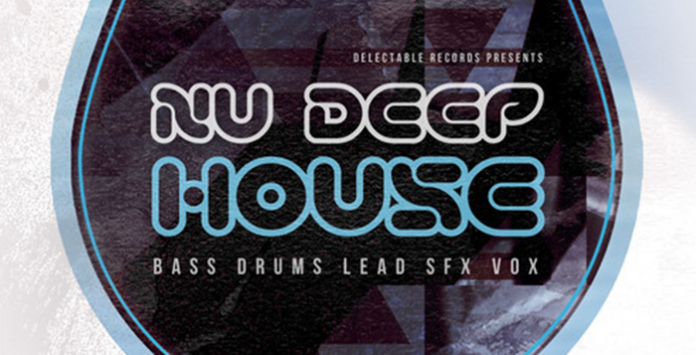 Specifically designed for Deep House, but in addition, also great for Deep Tech House and Chillout House genres. A selection of 44 Bass and Lead Synths with referential clips, presets and midi files. These Synths are made with Simpler, so they can be used in Intro or Lite versions of Ableton Live 8.1.3 or higher. 9 Racks Sound Effects based on Impulse instances; inside each you will find a selection of 8 Instruments effects for a total of 72 customizable effects, 4 Vocal Racks based on Impulse instances with which there is a selection of 8 slots for a total of 32 Vocal Samples. Among the various Instruments Racks are 10 Drum Racks (4 Hats, 3 Kicks, 4 Multi Percussion and 3 Snares), with numerous high-quality preloaded drum shots. All these tools have full control over 8×8 Macros and a section formulated for pre-mastering / Leveling effects , Strip Channels dedicated to the type of rack and also a multi – effects series specifically designed to switch between one preset and the other simply controlling a single knob , making the workflow continuous and effortless. 3 Pre-Mastering/Strip Channels, dedicated to respectively Lead Synth, Bass and Drums making it possible to carry out a thorough shaping of sound through Macro to control the sounds main characteristics such as EQ , Dynamics , Limiting , Presence and Panorama. 9 Multi effects with smart single knob control including: Multi Reverb , 3 types of Multi shape ( Bass, Lead, Drums) , Multi Delay, Multi Degrader , Multi Warmer and Multi Filter all with a macros that let you scroll through the various effects , giving the ability to find the right effect. The use of all these instruments effects is intuitive and ready to be dragged into an Ableton Live track instantly. This library is designed to be less CPU Intensive, in fact, effects and tools that are not used in conjunction with others are automatically disabled in order to save the CPU. To complete this library, Delectable Records have included a wide selection of audio files produced by the rendering of tools and rack presets, totaling 640 one shot samples and 151 effects loops for full flexibility. As well as Soft Sampler Patches for Logic Pro EXS24, HALION, KONTAKT, Reason NNXT and SFZ. Check out the Demo made entirely with this packs Instruments and Sample Delectable Records Nu Deep House Ableton Instruments today! Please Note Ableton Live 8.1.3 or above is required to make full use of this pack.